Two UCL-led proposals have reached the final selection stage for a new multi-million pound European Space Agency (ESA) mission. Comet Interceptor, which is led by Professor Geraint Jones (UCL Space & Climate Physics), and Debye, which is led by Dr Robert Wicks and Dr Daniel Verscharen (UCL Space & Climate Physics), have made the shortlist of just six proposals, following a competitive European-wide process. The successful F-Class mission will be announced by ESA later this year. ESA’s €150M mission for its F-Class programme is intended to launch as a co-passenger with the ARIEL Mission (led by Professor Giovanna Tinetti, UCL Physics & Astronomy). It will fly to the Lagrange point L2, a point in space on the nightside of the Earth and will launch in 2028. The aim of Comet Interceptor is to investigate a comet approaching the Sun for the first time. Comets are some of the most primitive objects in the solar system, time capsules from the period when Earth and the other planets formed. All comets encountered so far by space missions are on short orbits, meaning that they have been altered by their multiple approaches to the Sun. Comet Interceptor plans to characterise, for the first time, a dynamically new comet or interstellar object, including its surface composition, shape, structure and the composition of the gas it is releasing. The only way to encounter such objects is to discover them inbound with enough warning to direct a spacecraft to them. The time between their discovery and departure from the inner Solar System has until recently been very short – typically months to a year – which allows far too little time to prepare and launch a spacecraft to them. However, this timescale is lengthening rapidly, with recent and upcoming advances allowing survey telescopes on Earth, such as the Large Synoptic Survey Telescope under construction in Chile, to cover the sky more deeply, coherently and rapidly. Comet Interceptor would wait at L2 until a suitable target is found by one of these facilities, and then be directed to it. Comet Interceptor will be a multi-element spacecraft comprising a primary platform which also acts as the communications hub, and sub-spacecraft, allowing multi-point observations around the target. It will also have the capability to intercept an interstellar object passing through our Solar System, if such an object is found on a suitable trajectory. Debye is a space plasma physics mission that will be the first specialised ‘electron telescope’ with the aim of making the fastest measurements of electrons ever made in outer space. The mission aims to answer the science question “How are electrons heated in space and astrophysical plasmas?” Understanding energy exchange and transport in plasmas is key to understanding the energisation and acceleration of particles throughout the universe. 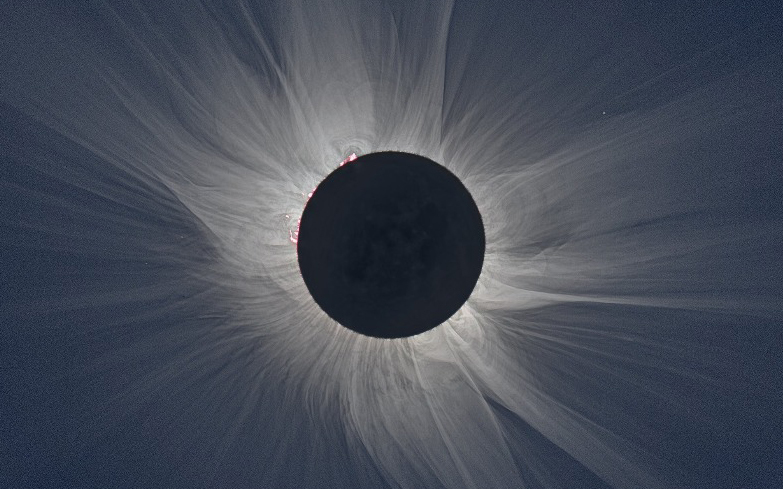 This impacts everything we see in space and astrophysics, from the unexplained million-degree temperature of the solar corona, to the mysterious ‘cooling-flow problem’ where plasma between clusters of galaxies is hotter than it should be. Debye is named after the Dutch-American physicist and chemist, famous for early work that defined what a plasma is and the smallest characteristic scale in a plasma, called the ‘Debye length’. Debye won a Nobel Prize in 1936 for chemistry. The mission will consist of a mother spacecraft and three daughter spacecraft. The mother spacecraft will carry instrumentation to measure particles, electric fields and magnetic fields. The three daughter spacecraft will fly in formation around the mother spacecraft and carry search-coil magnetometers to measure fluctuations in the magnetic field. Formation flying of four spacecraft allows the mission to measure the smallest magnetic waves that interact with the electrons. The mission will begin at small separations between the spacecraft of just a few 100 metres. The formation will then expand during the mission lifetime to multiple hundreds of kilometres. In this way, Debye will study plasma processes that occur on different scales. Commenting on Debye being shortlisted, Dr Wicks said: “It is fantastic that Debye has been selected for further study. If Debye is chosen this summer, we will break records for the fastest particle distribution measurements made in space and the closest formation flying of spacecraft in deep space. As well as these technical achievements, we will make breakthroughs in the fundamental processes of plasma heating that occur all over the universe using plasma in our own back yard.